The breakup of the USSR brings a thousand dangers, a thousand tragedies, a thousand opportunities . . . and agents from around the world rush to fight over the spoils. 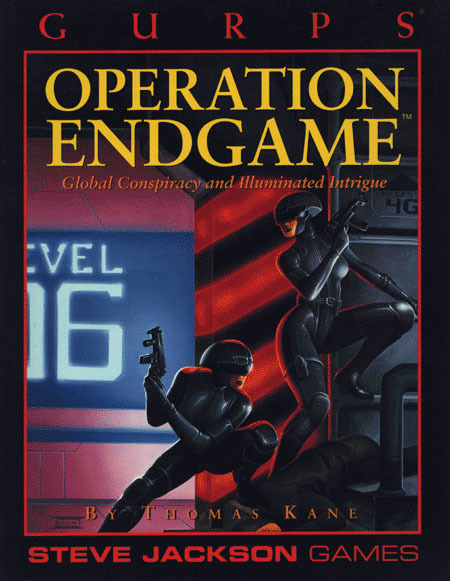 This book contains four heart-pounding adventures by Thomas Kane, author of GURPS Espionage. These missions will challenge the craftiest spies. 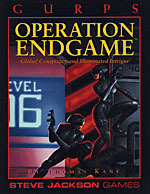 Operation Endgame – Midnight, a top KGB agent, is hiding in Copenhagen. Find her and convince her to come to the West instead of selling her talents to Singapore – before a treacherous double agent silences her. Operation Loose Ends – Midnight has bad news about former Soviet Army units trained for terrorism and assassination. Officially, they've been disbanded. But they went political instead. Hunt down the last six assassins – before they strike again . . . Watching the Dragon – The Soviet terrorist unit was stockpiling weapons – a lot of weapons. But no one's talking about their intended destination – or why the Communist Chinese should support them . . . Ferret out the reasons in Beijing, but don't get caught. Sons of the Bear – As the USSR disbands, control slips, to the dismay of loyal Soviet Army officers. One rebel officer fights against dissolution to safeguard mankind from a terrible weapon; another tries to grab power for himself. The showdown comes in the steppes of Kazakstan. GURPS Espionage – Welcome to the world of spies and counterspies, codes and ciphers, ruthless subversion and desperate heroism.